Rosario Dawson at the 2017 GLSEN Respect Awards at the Beverly Wilshire Four Seasons Hotel on October 20, 2017 in Beverly Hills, California. Rosario Dawson sealed off her look with a pair of blue and yellow hoop earrings. 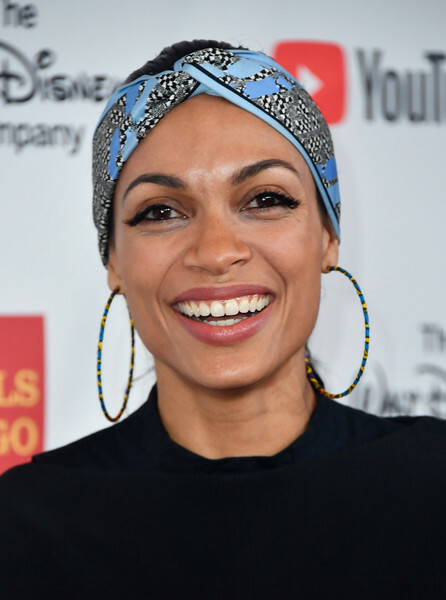 Rosario Dawson jazzed her 'do with a wide headband when she attended the 2017 GLSEN Respect Awards.